For the past three years, the widower Mr. Malik has been secretly in love with Rose Mbikwa, a woman who leads the weekly bird walks sponsored by the East African Ornithological Society. Reserved and honorable, Malik wouldn't be noticed by a bystander in a Nairobi street—except perhaps to comment on his carefully sculpted combover. But beneath that unprepossessing exterior lies a warm heart and a secret passion. But just as Malik is getting up the nerve to invite Rose to the Nairobi Hunt Club Ball (the premier social occasion of the Kenyan calendar), who should pop up but his nemesis from his school days. The jokester Harry Khan, good-looking in a flashy way and quick of foot, has also become enraptured with the object of Malik’s affection. So begins the competition cooked up by fellow members of the Asadi club: whoever can identify the most species of birds in one week’s time gets the privilege of asking Ms. Mbikwa to the ball. 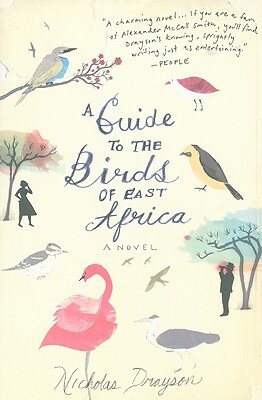 Set against the lush Kenyan landscape rich with wildlife and political intrigue, this irresistible novel has been sold in eight countries and is winning fans worldwide. NICHOLAS DRAYSON has written extensively about wildlife and natural history; he is also the author of Confessing a Murder, which was hailed by Booklist for its “view of Darwin never before seen.” An Englishman by birth, Drayson lived in Nairobi for two years.